Bristol City cultural supremo KELLY THE ELEPHANT gets two pages in the Observer today to blow his trumpet about his Festival of Ideas. Close scrutiny should be given to his selection of venues – Arnolfini, Watershed, Spike Island…. Devoid of any proletarian footfall and clustered round ‘Harbourside’……… Not a sausage for the south, north or east of the city where it is seemingly impossible for the elephant to find either venues or people interested in ‘ideas’. Oh god I’m sure he’s looked. Can there be a political theatre? 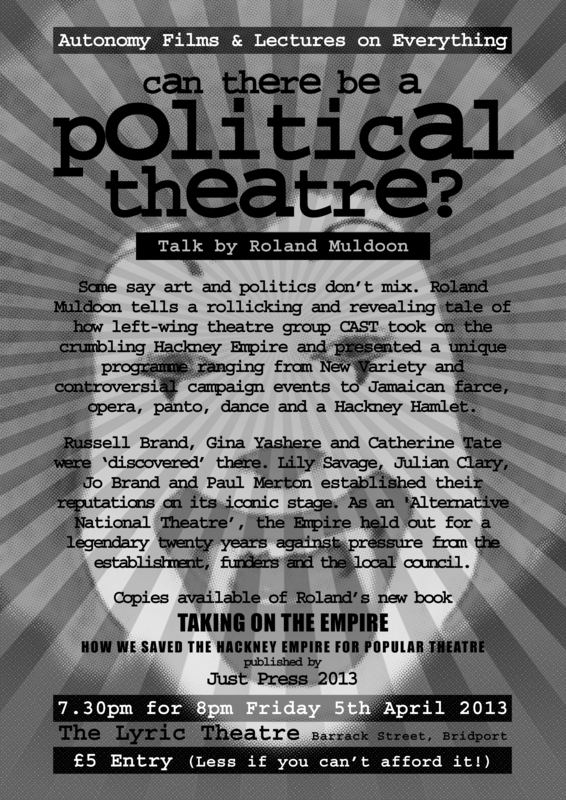 A talk by Roland Muldoon at The Lyric Theatre, Bridport, Friday 5th April 2013. 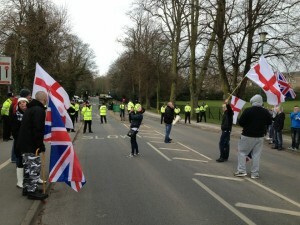 Far right humiliated in Nottingham. From East Midlands Anti-fascists. 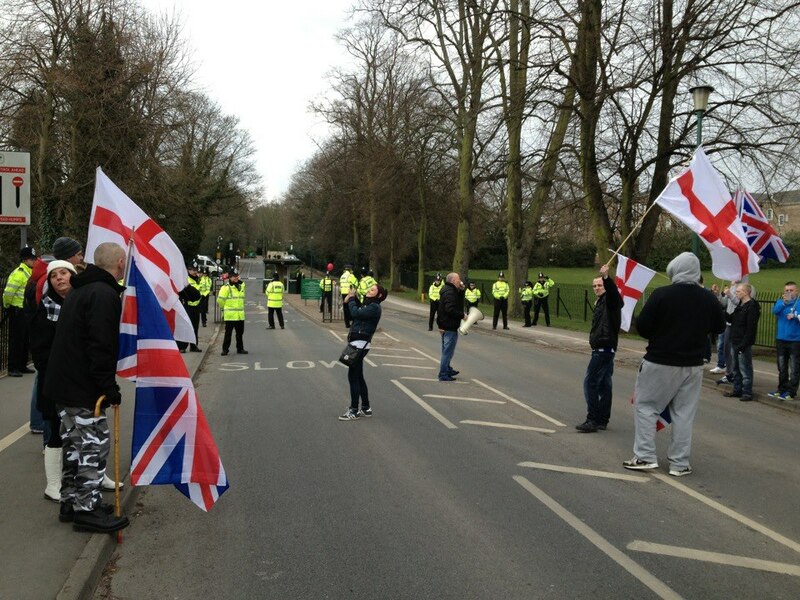 In spite of national call outs and attendances by the North West Infidels, Paul Pitt of the South East Alliance, Casuals United, the English National Resistance, Nottingham EDL and the EVF, barely a dozen people bothered turning up for Tony Curtis’ demo at Nottingham Uni yesterday. After plotting up at a nearby Toby carvery the pitiful crowd weren’t even allowed onto the campus and had to stand around in the road outside listening to Tone the Moan. Casuals United reckon they go where they want but as usual they meekly went exactly where the police wanted them. They didn’t get close to the event they were supposed to be protesting or speak to the general public so the whole thing was a waste of time. This is further proof that without the EDL these hangers on are nothing. It looks impressive to have alliances of about 10 different groups until you realise that each group has about 3 people in it and most of them are keyboard warriors. These big mouths spend more time designing elaborate logos and posting on Facebook than actually doing anything in the real world. This is the second humiliation this week for Curtis who foolishly thought he could hold his own against “the left” on Indymedia. When his badly thought through arguments were torn to shreds he quickly surrendered, pretending he’d been banned, even though as one commenter pointed out, you can’t be banned from Indymedia. As one poster noted “typical fascist, making loads of noise but unable to back it up when effectively challenged”. Part of Curtis’ whingeing was about being called a racist. Well here’s a tip – if you don’t want people to think you’re a racist it’s probably best not to give Nazis a hug. 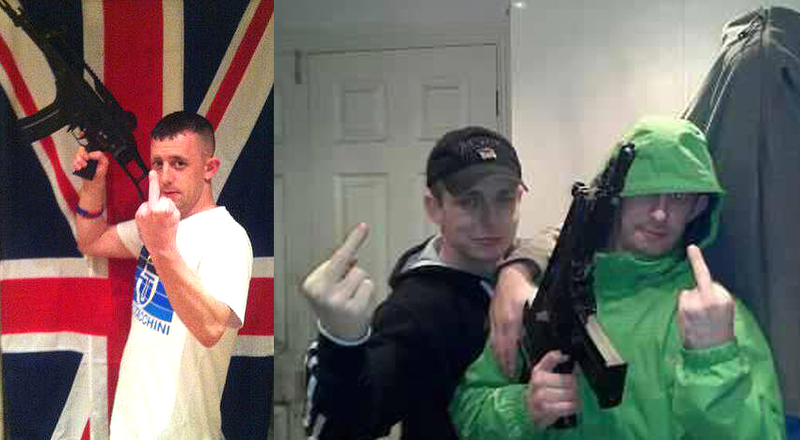 Curtis was recently pictured with his arm around Shane Calvert, leader of the NWI who are notorious for calling for the killing of “Pakis”, the gassing of Jews and murdering of immigrants. Calvert was recently in attendance at the neo-Nazi White Pride Worldwide event and regularly does demos alongside the National Front. Other NWI activists include Liam Pinkham, who likes to pose in jackboots giving a stiff-armed salute. Anti-fascism is for everyone! New AFN leaflet. 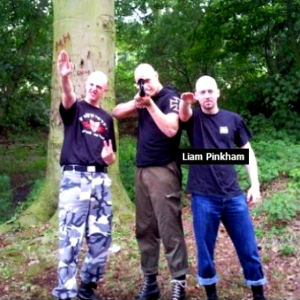 Shameful – Pure Drop Inn hosts Nazi gathering in Poole. 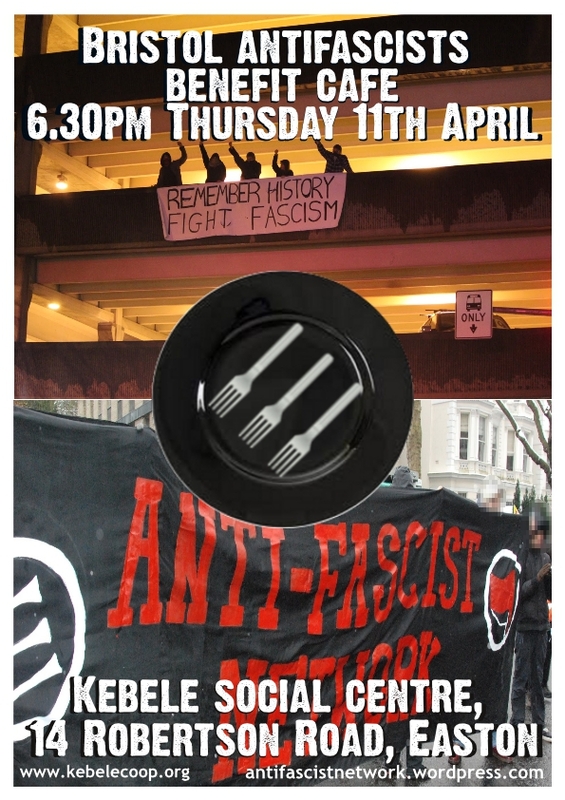 As reported by the Anti Fascist Network, the recent fascist manifestation in Poole was traced to the Pure Drop Inn at 7 East Street, Poole, Dorset, BH15 1RY [map], described by locals as ‘a crapper’. 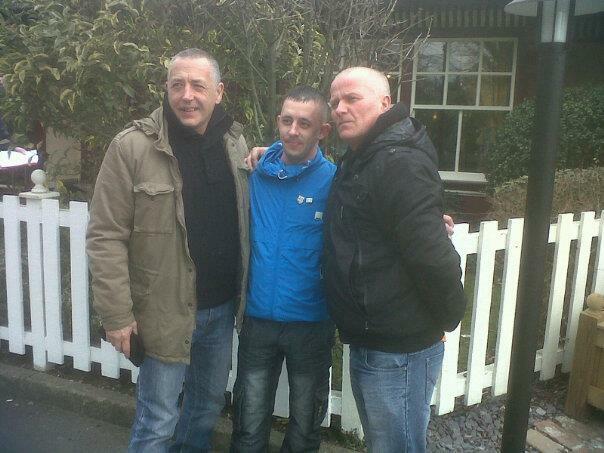 On the 23rd of March the pub played host to the lunatic fringe of Britain’s far-right; Dave Smeeton, organiser of March For England, teamed up with various other Neo-Nazi splinter groups, ‘English volunteer force’, ‘Infidels’ and ‘Friends of golden Dawn’ to plan for this year’s forthcoming humiliation in Brighton, Barnet’s ginger gurner was there too. The Pure Drop sits in an overwhelmingly working class area, there is no place here for our class enemies and class traitors. Time for Poole residents to stand up and say: Not on our Manor! Come sapete ogni tanto mi piace condividere con voi dei link interessanti, soprattutto quando si tratta di eBook e soprattutto se sono gratuiti. 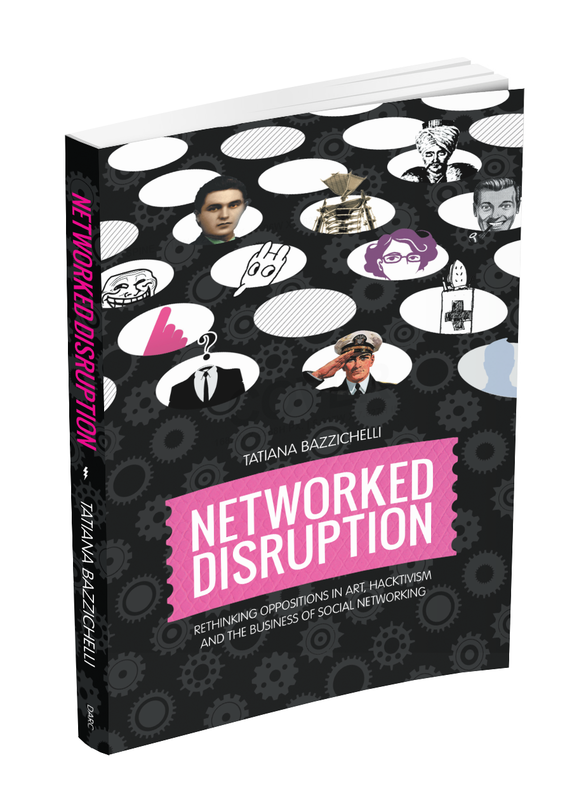 Al momento ho appena cominciato a leggere Networked Drisruption di Tatiana Bazzichelli, un libro in Inglese gratutitamente scaricabile da qui. Se siete in grado di leggere un libro in Inglese sotto potete leggere di cosa tratta.